Colleen was born at Griffiss Air Force Base in Rome, New York, where her father was stationed at the time with the U.S. Air Force. She served 5-1/2 years in the U.S. Air Force, where she met and married her husband, Thomas. Thomas is now retired from the U.S. Air Force, and is employed with RT&T, a contractor on Eglin Air Force Base. They have two children, Michael and Elena, and six grandchildren, Abigail, Jordyn, Mathew, Sara, Lexi, and Tyler who are the light of her life. 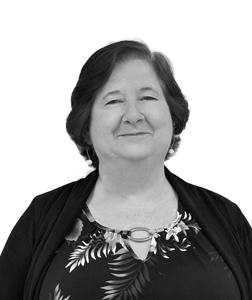 Colleen brings over 20 years of paralegal experience to the firm in a vast array of legal areas.